With this new church template we aimed for a decidedly majestic theme. 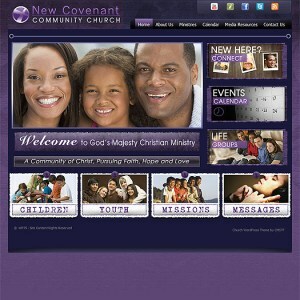 With bold, royal hues, this is a premium WordPress church theme that really stands out online. 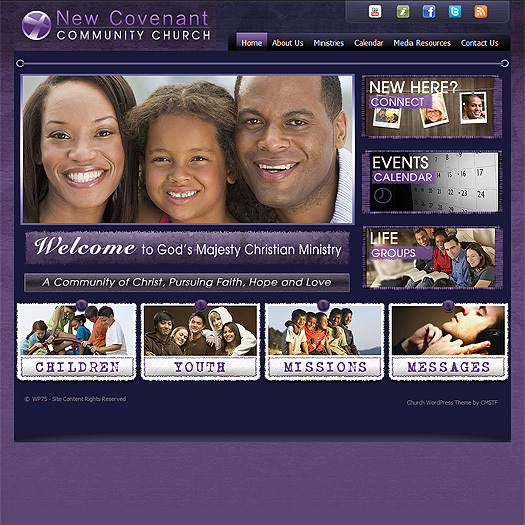 And with three different theme layouts you can customize your own church website as you see fit. Working with the powerful, robust WordPress content management system and this premium theme, you'll be able to build a compelling website with as many pages as you deem necessary. This church theme for WordPress also comes with all of the photos you see in these preview shots (as well as on the live demo). Also included are the editable PSD files.